Lon first discovered his love for photography at the age of twelve while on a family vacation to Glacier National Park. His father questioned why he took so many pictures of the mountains... Lon's only response: "Because they're pretty." While attending college at Cal Poly, San Luis Obispo, Lon took two basic courses in photography; color and B+W developing. The Kodak Instamatic camera used in Glacier National Park had now given way to his father's Yashica 35mm rangefinder. In the years to follow, he had a camera with him while enjoying the great outdoors; backpacking in places like the Sierra Nevada's, Yosemite, the Trinity Alps in California and back again in Glacier. A trip to Denali and Katmai National Parks in Alaska brought Lon some experiences he will not soon forget. The style and vision of Lon's photography has had many influences. Being involved in the local camera club for many years helped hone the skills of composition and taught Lon the importance of interacting and learning from his fellow photographers. A significant influence on the direction of Lon's photography was attending a workshop by Nature photographer, Ron Sanford. Ron was impressed with Lon's work and suggested that "...if you want to compete in the world of pretty pictures, you can give yourself an edge by shooting large format..." It took nearly 5 years before that advice really sunk in and the transition to 4x5 large format photography wasn't an easy one. Once the realization that trying to use both 35mm and 4x5 formats at the same time didn't work, Lon made the decision to make 4x5 his priority. Developing patience behind the camera and pre-visualizing a scene brought back the joy of photography while continuing to enjoy nature and the great outdoors. The ability to "see," compose and visualize an image has certainly been influenced by the many great photographers of our time. Striving to be like the best has made Lon a better photographer. He now takes all those skills and influence in creating images with his own unique style and vision. Lon would also like to acknowledge the support and encouragement from his family and friends. 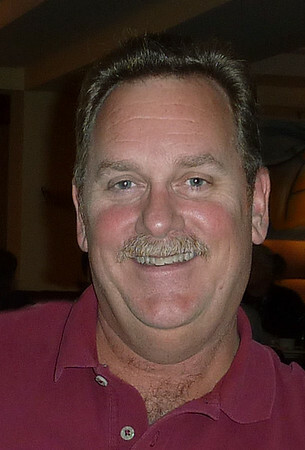 Lon makes his home in Livermore, California with his wife JoAnn. Lon recently became a grandfather! Son Kyle and his fiance are expecting their second child late summer 2019. Lon has worked full-time for Hewlett-Packard since 1982 in field customer support; currently as a Account Support Manager supporting now Hewlett Packard Enterprise customers.